The LAB Materials Testing produces quality service, delivered on time. Its outstanding customer-centric approach is unparalleled in the industry. It’s like having an in-house lab. The LAB technicians are always available to answer questions, walk customers through the process and work through technical issues. Recommendations come with each sale; the staff will provide expert advice, counsel, and testing information, as well as clarification when needed. Timely, certified test results include detailed information about each testing procedure, material characteristics, and explanation of results. The LAB—Materials Testing is ISO 17025 certified and A2LA accredited. Their NDT services are provided by Level II and Level III technicians with many years of experience. The LAB technicians expertly prepare specimens through grinding, polishing, mounting, and etching in order to examine the physical structures of a metal. After proper preparation, metallographic specimens are examined on a microscopic level to reveal the material’s true microstructure. The LAB has the expertise, equipment and certified technicians to quickly prepare the highest quality test specimens to ASTM and MIL specifications. The LAB offers a variety of Non-Destructive Testing (NDT) services and capabilities for customers. These testing methods are exceptional for balancing quality control with cost effectiveness and time. As always, The LAB upholds all industry standards and has strict quality control procedures in place to guarantee reliable results. 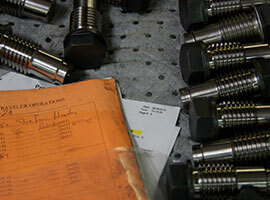 The LAB—Materials Testing performs mechanical testing, metallographic testing and non-destructive testing on externally and internally-threaded fasteners. All testing at The LAB is held to industry standards and is conducted by highly skilled and certified professionals. Mechanical testing provides important information about the aptness and characteristics of a material for its intended usage. This helps companies design dependable products that will consistently perform in a predictable manner. The LAB—Materials Testing is an accredited mechanical testing lab that provides accurate, reliable results. The LAB offers Positive Material Identification (PMI) through X-Ray Fluorescence (XRF) testing. The LAB also offers bulk analysis using Atomic Emission Spectroscopy. 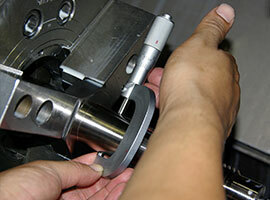 Specializing in mechanical, metallographical, and nondestructive testing & specimen machining. 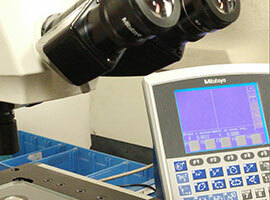 The LAB offers low lead times and available expedite on orders when requested. Contact us today for a free consultation on your project! Experienced technicians at The LAB uphold all industry standards and have strict quality control procedures in place to guarantee accurate and reliable results every time. The LAB’s clients have come to expect exceptional customer service, quick turn around and competitive pricing for all their testing requirements. There is a standard 3-day turnaround time for orders. However, 2-day, 1-day and same day expedite services are available to meet your rush needs.